Being such an aspirational purchase for me at the time, I remember buying my first BMW like it was yesterday. We take the brand for granted now but 20 years ago there weren’t as many around, so it felt like a real achievement to own one of these amazing cars. Prior to buying my 320i I would normally buy either a Japanese car which despite great reliability, were really dull and boring to drive. My 320i was a high mileage rep mobile, but I still remember how the car felt like new despite its age which stands as a testament to BMW’s exceptional engineering. The car I had the pleasure of driving was the stunning new i8 which looking at, you could easily believe it was a concept car with its very futuristic styling. The car’s look reminds me of the BMW M1 from the front and it reminds me of the Jaguar XJ220 from the side. I am sure you will agree neither were ugly cars. The latest trend for most manufacturers is to have at least one hybrid model in its range. Even Ferrari, McLaren and Porsche have got in on the act with supercars fitted with both electric motors and petrol engines. As you can imagine these cars are not only amazing to drive and filled with technology they are also well and truly out of the range of most people. I wouldn’t class the i8 as a cheap car but compared to the cars mentioned above, it’s a relative bargain at £100k – plus you can receive a £5k rebate from the government. 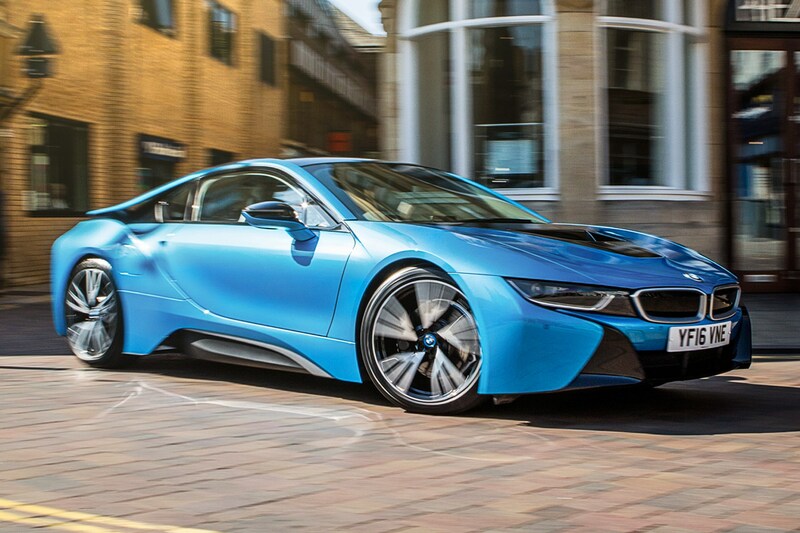 The i8 is fitted with a three-cylinder 1.5lt engine and two electric motors. It’s a combination of power which gets the car storming to 62mph in 4.4 secs, and a top speed of 155mph. Believe it or not, the same engine is also fitted to the MINI – but thankfully in the i8 it has been supercharged to produce 231bhp. The motors and engine combined produce 357bhp with the engine driving the rear wheels and the electric motors driving the front wheels. This explains the cars exceptional road holding and fantastic grip levels. Throw in exceptional feedback from the steering wheel and bring on those country roads. The engineers have also used some amazing sound technology to make the engine sound really sporty – more like a rasping V6 than a 3 cylinder engine. On electric power alone it is possible to drive the car for up to 22 miles. While I had the car I never needed to charge the batteries; all I had to do was to put the car into sport mode and all of the clever technology charged the batteries while I was driving. I managed to achieve 35mpg but this was way off the headline grabbing figure of 135mpg. The car only emits 49g/km which makes this car congestion charge exempt in London, making it a very good car for businesses as its benefit in kind makes it much cheaper to run than equivalent sports cars. As BMW’s have always been advertised as being the ultimate driving machine, they have gone to great lengths to make sure the body is very light. They have also gone to extreme lengths to make sure the car has perfect 50/50 weight distribution, with the use of carbon and light composite plastics helping achieve this in the cockpit, and aluminium has been used to save weight elsewhere. The scissor doors do look amazing but entry and exit from the car is quite awkward as the sills are quite high. Once you finally manage to get into the car you need to reach up to close the door. A self-closing door would have been a nice touch but I can only imagine it was either too expensive or too heavy to make it viable. Once inside, the interior is very BMW with the dash angled towards the driver and the speedo and rev counter looking very funky indeed. A static screen allows you to see how economically you’re driving along with information about which motors are being used and so on. The screen also works the SatNav and entertainment features via the iDrive system. Vision from the rear window is really limited and the rear sensors will need to be used quite a lot. One area where this car is let down is its lack of boot space. The rear boot is only capable of taking a couple of soft travel bags. I would personally use the rear seats to hold luggage as they are too small to sit in and access to the rear is quite difficult. After driving this amazing looking futuristic car, I can safely say the future is bright especially with the use of this technology and when it’s combined with a petrol engine.